Storytelling with a homemade puppet show is such a creative and engaging activity for kids. 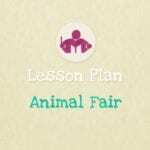 It is wonderfully educational and even more fun when you have a song to go with the story. A puppet theatre gives children endless opportunity to let their imaginations go. Telling stories is such a fantastic way to develop early language and literacy skills and happily a fun and cheap way to entertain children too! This simple but absorbing activity is just what your child needs to develop their skills for learning. Younger children will improvise and make up their own stories while older children can even get involved with writing full scripts and putting on little plays. 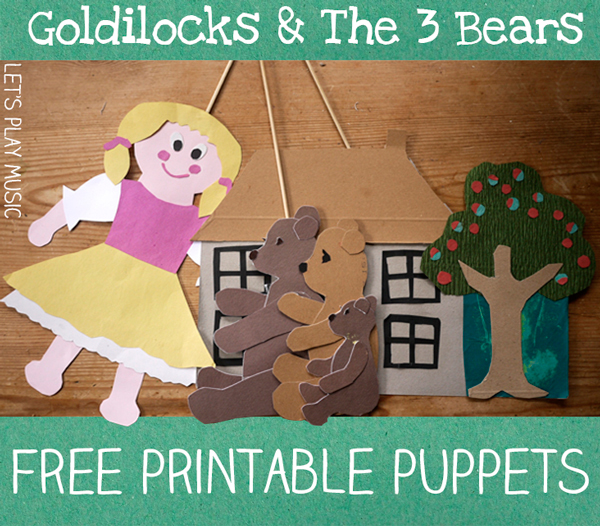 Click here for the tutorial on how to make our Storytelling Puppet Theatre. 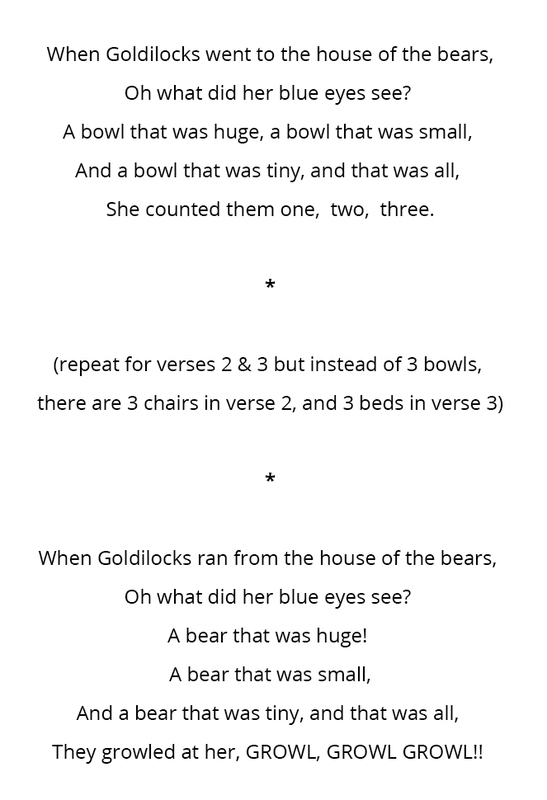 Goldilocks and the Three Bears is an excellent storytelling song to start with as children often know and love this story from a very young age. Start by reading the fairy tale together. If you don’t have this one in your collection here is a lovely version for little ones. Once you’ve read the story, make the stick puppet characters and props. These have been made specially to help tell the story simply. You can print the characters off by clicking the image below. Print and mount them on card, then attach to a lolly stick or something similar. 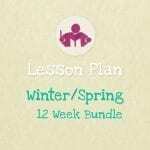 To start with play with the puppets and theatre together and your little ones will soon get the idea. Encourage them to experiment with different voices for each character. This is an excellent way to demonstrate the contrasting pitches of high and low as well as the three different sizes of big, medium and small. 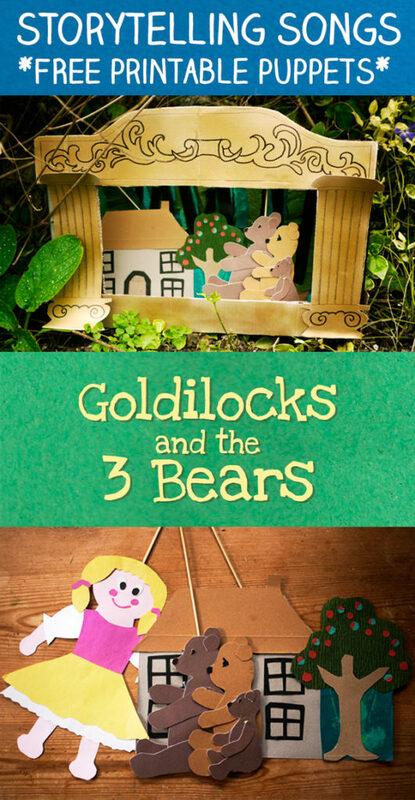 A lovely way to tell the story is by singing the Goldilocks and the Three Bears song which is also very popular with preschoolers as an action song. This is perfect to sing with the puppet theatre as it prompts little ones with the order and sequence of events in the story. This will be the first of many stories and adventures as your child gets more confident playing with the puppet theatre. Watch out for more puppets and props as we add them to our Storytelling Songs Series. By creating this fairy tale world you are giving your child the chance to imagine, discover and explore, how exciting is that? 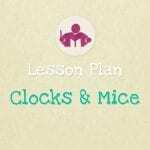 Check out our Bears lesson plan for lots more lovely teddy-bear themed activities combined in a 30 min structured lesson, with step by step teaching notes and supporting resources.